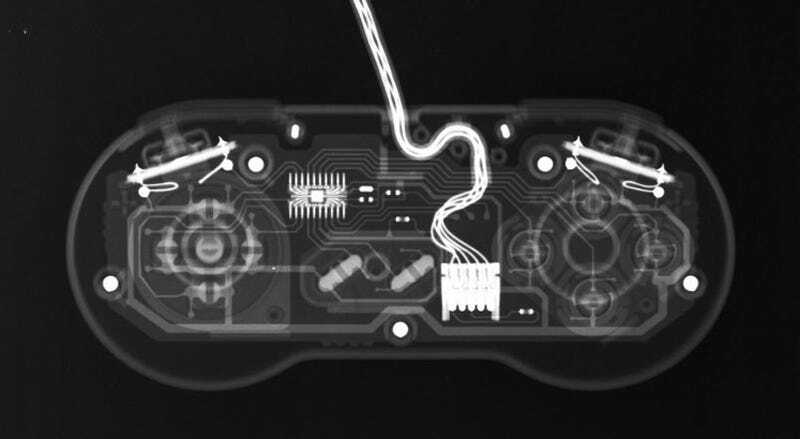 Just how do some of gaming's famous consoles make their way into an x-ray machine? We can only assume that while some poor boy with an unconfirmed fractured tibia had to wait i excrutiating pain for a hospital's only x-ray room to open, Flickr member Reintji had locked the doors from the inside as he tossed forth a pile of vintage gaming equipment to be scanned despite its inherent and shameless lack of medical insurance. Fast forward a few weeks, and an HMO lacky is approving the expenses of Mr. Play Station the Third. Then just for a moment, the little guy claims a victory over mega corporations...while an even littler guy nurses his still-broken leg.